Including where to find the natural, amber-hued drink in Dallas. About a decade after entering the western wine scene and occasionally being dubbed the new rosé, orange wine is finally beginning to gain some traction in Dallas. You’ll see it pop up on a handful of menus around town, including pretty much any spot that falls under the Headington Co. umbrella, along with Bar & Garden, the lovely organic liquor store on Ross Avenue. 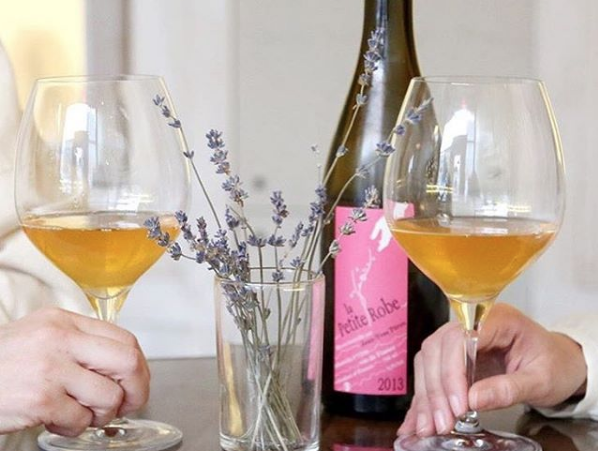 Which is great news for local fans of natural wine, a label that simply means that there no additives or processing aids were combined with the grapes with during fermentation. “Orange wine isn’t necessarily considered a natural wine because it’s an orange wine,” says Rae Kingfield of Bar & Garden. “But it’s such a niche product and such a labor-intensive process to make it that the only ones doing it are people who really care about what’s going on in their vineyards or their winery.” Because the skin stays on the grapes so long during the winemaking process, orange wine also offers a healthy dose of antioxidants. And while the buzzy wine is often billed as the new rosé, the experience of sipping an orange wine couldn’t be more different. 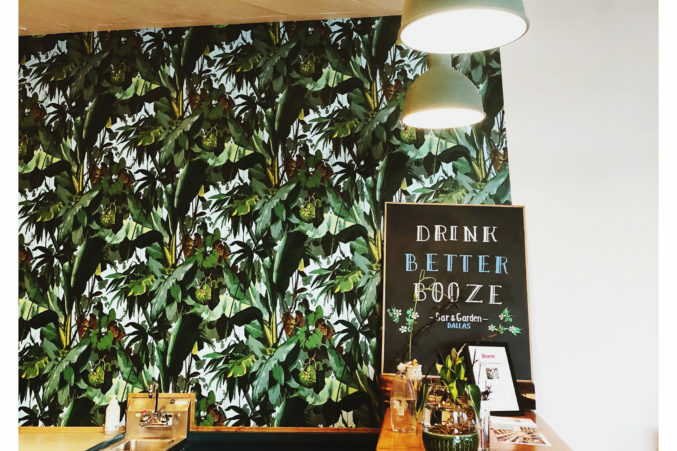 For a little education on the skin-fermented wine, we caught up with Kingfield and Buckner during an afternoon liquor store run at Bar & Garden. 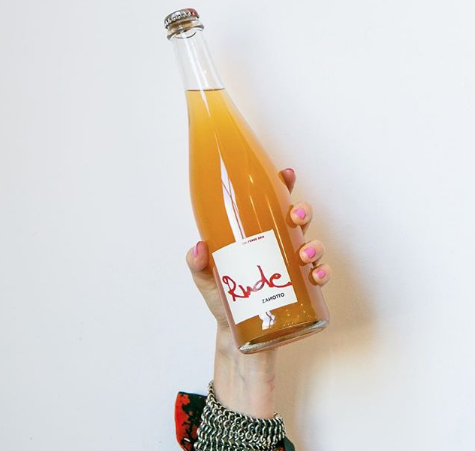 Though the amber-hued drink has been around for some time, the term “orange wine” was allegedly coined in the early 2000s by a U.K.-based wine importer. It also has nothing to do with citrus. “Making an orange wine is essentially making a white wine the way you would a red,’ says Kingfield. So instead of discarding the skins of the white grapes, you leave them be as during the fermentation process. “It extracts color and tannins and all these weird, funky things that most westerners aren’t used to having in their white wine grapes,” adds Kingfield. Orange wine is essentially a white wine that can hold its own with flavors someone might typically pair with a red. So, if you’re opting for wintertime vegetables or hearty poultry such as duck or roast pork, but want to drink something chilled, orange wine can be a great compromise.